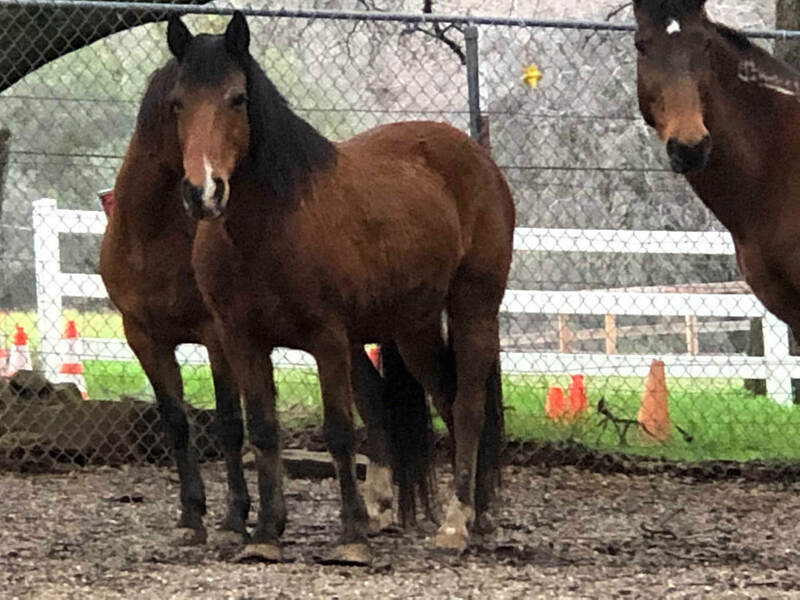 Texas came to AAE with his two buddies, Big and Rich, in January 2019 after a long abandonment on a large property. It seems these three guys have had a crappy time finding a forever home. 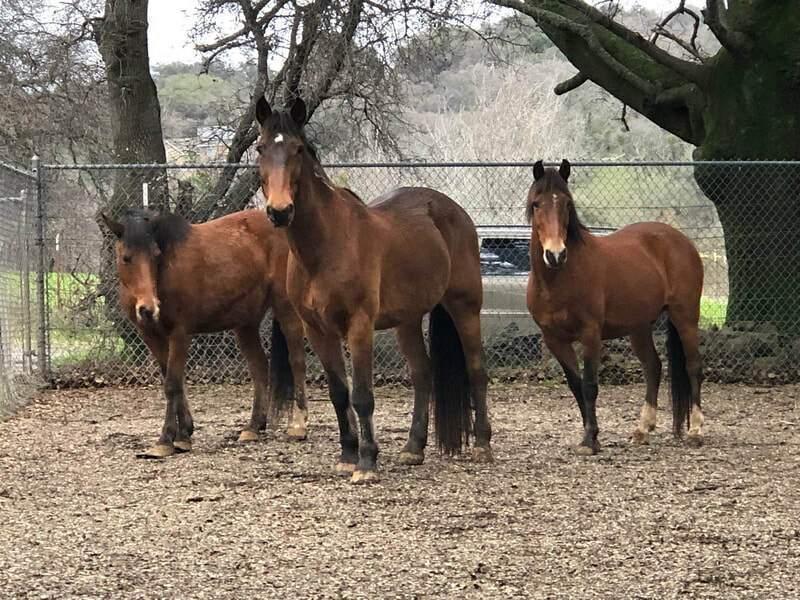 They have a long story, and our understanding is they are three-strike mustangs that came to California in 2009 after removal from a neglect situation in Nebraska. 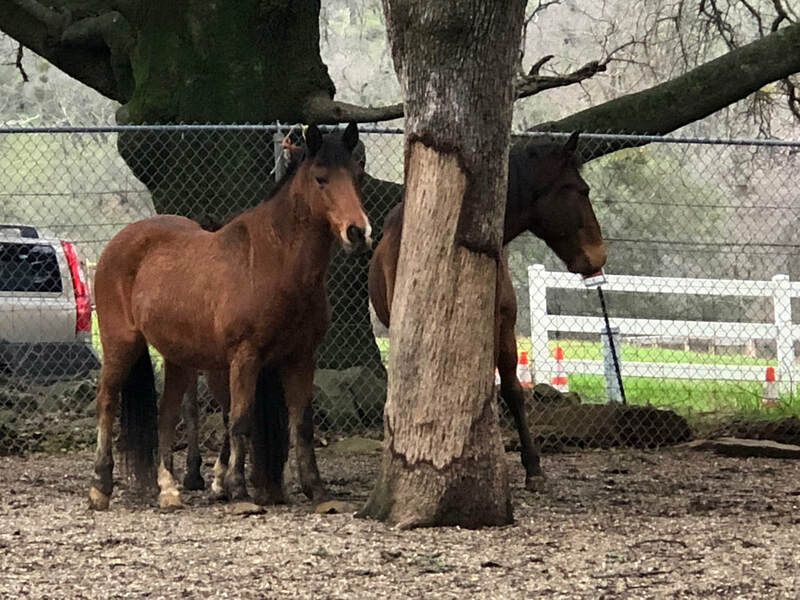 Long story short, they were placed on a large, beautiful foster property as a group of 10, and when the foster returned to remove them, they were unable to load the three and left them behind. The lived on the foster property for years, until it was recently sold. Little is known about any prior handling, but these guys were feral; none of the three were halterable at the time we picked them up. Tex is a curious and somewhat confident guy. He is curious about humans and willing to try. He was haltered without too much resistance our first afternoon with time, patience, and a slow approach. He was leading slowly in no time. Tex gives to pressure, and accepts touching around his neck, chest and withers, and seems to enjoy facial and forehead rubs. 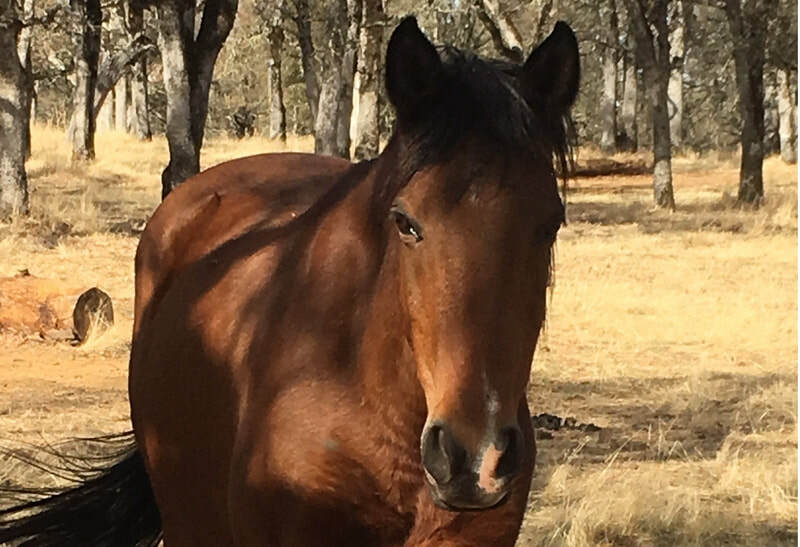 Due to his quarantine period and harsh weather conditions the last several weeks, Tex foundered while out on green, grassy open land. 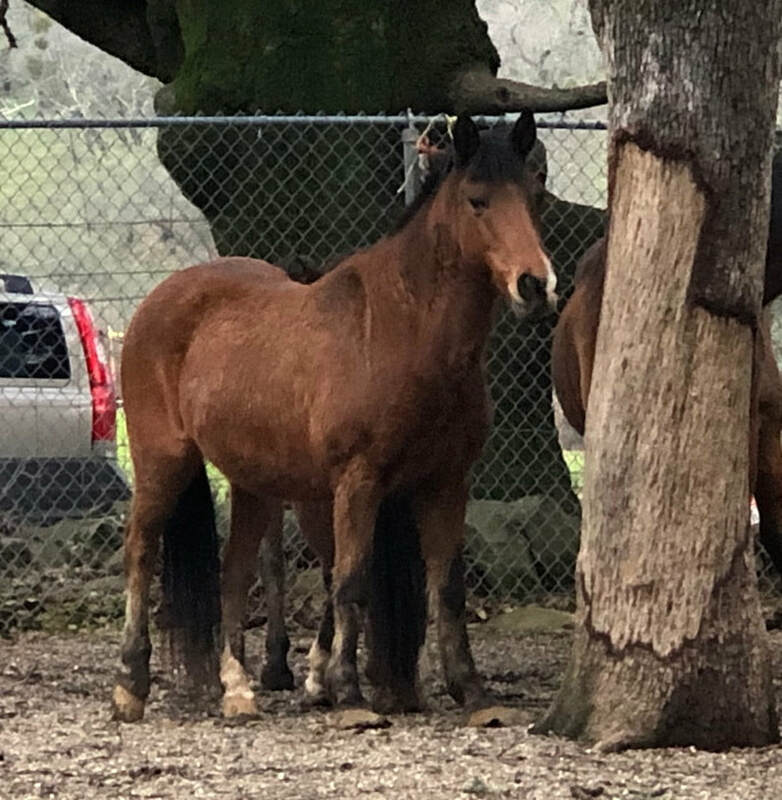 His hooves were trimmed on arrival and again when sedated for dental work. They've been touched up again. He's adapting fairly well, but would much prefer quiet time than hoof handling. He's a super cute lil' guy with tons of try.